Sears…heppa filter…half price…sears cards available…open or apply for sears account…easy to open sears account..driverd license…. Judy…James…….handi man…659 2490…Judy recommended him…. Garage Sale, Fire Sale.. east of Chesapeake..
yard sale 301 w hawthorn…carpet and fishing lures…lots of lures..tools…aqauriam…..kids books…25 cents each…box springs..
Yard sale 301 W Hawthorne..
Tow truck service…24 hours…cell…880 7611….fully insured..wheel lift..will haul away old cars…. Yard sale 2.5 mi soutb on 39 one gun left 30 0 6 set of new tires off blazer….old wodden sleds…Halloween costumes…..
Estate Garage Sale.. 8-6 819 Roosevelt St.
Garage Sale.. in Monett Thu, Fri to benefit Katrina Victims.. 611 13th St.. Here's a story about Radio Stations in the New Orleans area, and how they are serving the needs of a devasted community. 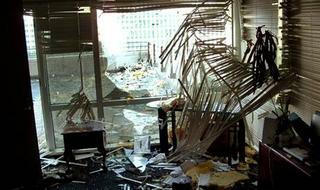 The picture at the left is the destroyed studios of Entercom radio in New Orleans. Looked at one hundred radio web pages today. [Your]program guide was the best. I will be listening from Arlington TX, thanks. I really like the stream. The real reason [I like your page]is that your page does not scream, “how great I am!”. [Others are like] try and fine the stream feature and program guide in all the advertisements. Puppies…for sale..unusual…kill any kind of varmints…kill snakes…pit bull…catahoola??? ?spell…mix…10 puppies….25 each or 2 for 40 dollars..good farm dogs…..357 6414 Wheelerville. Having a yard sale shut it down after noon…pressure cooker…swimming pool play ground park..home dolls…roaster misc items…quality clothing…bedding …reasonably 826 Terrace Drive…. black onyx ring mounted in white gold with diamonds…500 …and porcelan dolls…hanger and antique plates..bowels…flower pots..violets rare…678 2220 and black leather coat..
too many vehicles..89 chevy ¾ ton truck, has flat bed and reese hitch 1800…98 gmc ¾ ton extended cab..5800…..nice 96 ford crown vic…automatic…3500….and large 2 piece sectional with massagers and bed..300…nice king size bed great shape for 300 678 6579 computer desk..
Aurora Car & Truck Show Plans "Blast from the Past". The 21st Annual Aurora Car & Truck Show will be held under the shade trees at Oak Park on Business Hwy 60 in Aurora. Entries are currently being accepted at the Aurora Chamber of Commerce for more info call 678-4150. See you there! 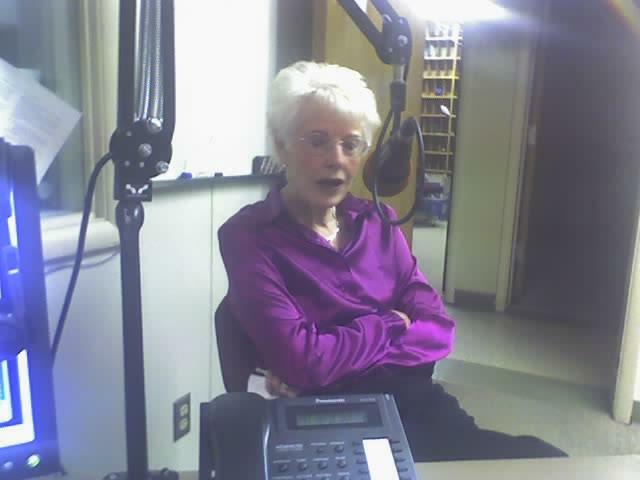 Doris Rapp, Mayor of Marionville was on the Morning Show with Bill & Art Friday morning. She striaghtened Bill out on the "exoneration" of the rooster, the history of the White Squirrels, and gave a recipe for Apple Cake. She also talked about the upcoming Applefest at Marionville, Saturday, September 24. A nice email note from a listener in Springfield. Thanks! Well you guys have done it one more time . First the morning show and now the blog . What will be next? The station is the best in this market. The only problem I have ,I cannot here your great radio station at night. 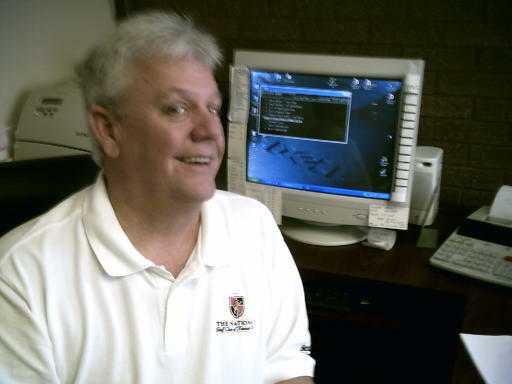 My computer is in the other room,I cant here your great programs before I go to sleep. Well that is my problem. All I can say is more power! According to an email from Jeramie Grosenbacher of the Aurora Chamber of Commerce, D’anne Schnakenberg has tendered her resignation from the Chamber to spend more time with her family. We, too, will miss D’anne. She was very talented, and had a background in broadcasting. We wish her our best. I’m really excited about this new format for bringing you the Trading Post items and other information. This will allow us to post all of the Trading Post notes, and leave them up for several days. This has been something that many have asked for. But, I also want this to be a place for fun. You can also send us fun stuff to post here. Of course, keep it clean. garage sale fri and sat 3 w pearl…plus size clothes…min tea sets…tea pots..good stuff……. Bill takes a great picture! WTB: Cheap Carpet.. and Linoleum … 258-2601 Also pygmy goats and chickens..